It was Sunday and after church Joseph and I went to his uncle’s house. This was the house that Joseph grew up in. As the boda boda pulled into the yard, and I saw the expanse of grass surrounded by tall trees, the little house at the center surrounded by out buildings, I could just imagine Joseph living and playing here as a child. It had a homey feel. It reminded me of Aunt Hannah’s place, where I had grown up working and playing in the big yard surrounded by trees and protected from the outside world. It was a place teaming with memories and it reeked of home and family. I loved it immediately. I think that day was the first time that I began to see myself married to him. I didn’t really think about it then, but looking back I remember imagining our future together and somehow tying his life growing up in this home to mine and thinking in terms of we instead of I. I do remember being so in love with him that I couldn’t hardly see straight. We played with his nieces and nephews, visited with his uncle and aunts and cousins. They all accepted me as part of the family and loved me so readily. This pictures was taken that day under the large mango tree in Uncle’s yard. Joseph’s brother and his wife and just had a new baby girl and I held her and sang her a song until she fell asleep and then I found the perfect spot in the crook of Joseph’s arm and she and I took a little nap together while his family, had a family meeting in Luganda. The following week Joseph stopped to see me on his way to Kampala to visit with the mission president one last time before he left the mission. I had been thinking a lot about him, about our situation and about the growing feelings I had for him. We went for a walk and had a very “logical” conversation. I reminded him that I would be leaving in about 6 weeks and that it was impossible for this relationship to go anywhere in that amount of time. If he was able to get a visa to come to the US for a visit we could potentially continue to date then and see what happened but we were kind of staring at a dead-end. I told him it just didn’t make sense for us to get serious about each other or really even continue seeing each other when it was all bound to end in six weeks time anyway. I don’t know what I expected or even what I wanted because at that moment if he had suggested that we not see each other any more I would have been terribly upset. I simply was expressing to him the impossibility of our situation without really thinking about a conclusion or wanting him to come up with a solution. He seemed a bit down when he left, I went to work at Musana and one of the women there taught me the Luganda word for I love you. I thought I could surprise Joseph by saying “Nkwagala Nyo” to him when I spoke to him next time over the phone. That night Joseph stopped by again, this time on his way home from his visit to see President Jackson. I had been at Susan’s house (One of the Musana women) teaching her how to make crepes. I had brought Nutella and bananas and the hot crepes were just coming off the flat surface of the charcoal stove when Joseph arrived. I met him at the door and excitedly dragged him in for something to eat. I was so excited to show him what I had made and to have him taste the delicious treat that I didn’t even notice his hesitancy. I pushed him into a chair and then sat on the arm of the chair, feeding him bites of crepes and purposely smearing chocolate on his face, so that I could clean it off when Susan wasn’t looking. Finally it came time to go and Joseph said he would walk me home. When we walked outside it was dark, the stars where out in all their brilliance and the warm breeze made the evening perfect. Let’s just sit here and talk a minute” Joseph said, he seemed hesitant to take me home, for the first time that night, I noticed that he seemed a little on edge. We sat on the edge of the porch, I hugged my knees to my chest and waited for him to say something. Joseph talked for a while about this and that, about his calling, about other things that he had discussed with President Jackson, after a few minutes his conversation suddenly turned rather serious. He sighed a big heavy sigh and I came down off the porch and knelt in front of him. “Whats the matter?” I asked. He didn’t answer so I put my arms around his neck and just hugged him. He started talking then and I could feel his breath on my neck. My body started shaking uncontrollably. He continued, President Jackson told me that this decision is really pretty easy and doesn’t take even six weeks. Either you are the girl for me and I am the guy for you or not. That’s the only decision we have to make. It’s as simple as that. I think he is right and I know you are the girl for me if you will just say you will marry me. I couldn’t believe it. I didn’t know what to say. I couldn’t say yes and yet try as I might I couldn’t say no either. I thought of President Jackson’s council to me to follow as closely as I could what my heart would tell me. I tried to shut out all the thoughts, and the ideas buzzing like so many mosquitoes in my brain. I knew then what I had to do. I had to do what I had been doing with Joseph all along. I would take it one step at a time. Joseph hugged me so tight I couldn’t hardly breathe, not that I could have taken a breathe anyway at that point. My knees where still shaking, my legs felt like Jello and my head was spinning. Did I just agree to get engaged! He walked me home and kissed me goodnight. It was so hard to let him go and I stood at the gate and watched him walk down the road toward the taxi until he turned and waved and then was gone. By morning I knew the only possible answer to his question. I was going to marry Joseph. I thought of everything that had led me to this point. The craziness of the whole plan that had led me to Uganda. I remembered telling my friends back home that the Lord must have something wonderful in store for me there because I had never received such clear direction to do anything in my whole life. I knew from the moment I saw the ad for an internship, that I was meant to go to Uganda. Now I knew why. I was terrified beyond words, I was happy, I was in shock. But my Joseph was finally going to REALLY be MY Joseph. My life started to fit together like pieces to a puzzle and a sense of peace over came me. 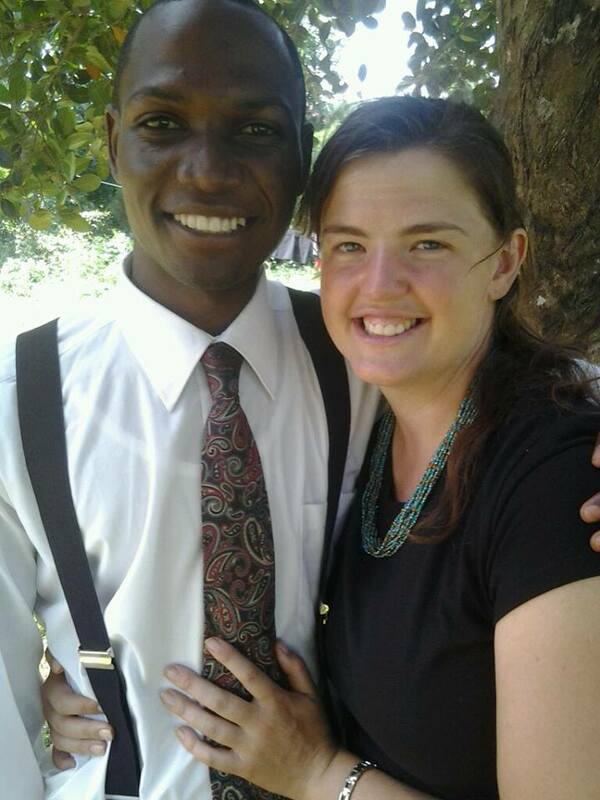 I couldn’t wait to see Joseph to tell him the new word I had learned I couldn’t wait to say to him Nkwagala Nyo! This entry was posted in Dating, Inspiration, My Whirlwind Romance, Relationships and tagged Crepes, Engaged, Home, Love, Nutella.